Day 18 of the Heapnose Perfume Diary. 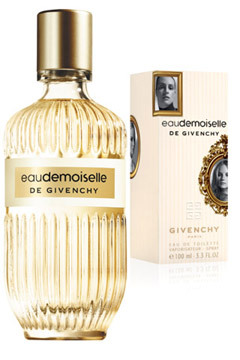 Today I’m wearing eaudemoiselle by Givenchy. There are some French things that I really like (Fries, Kissing, Cuisine). And some French things that I really dislike (Toilets, Toll Roads). There are very few French things which actually bore me. Until I encountered Givenchy’s latest insipid release. I can clearly recall motoring through France on balmy summer days, and being forced to urinate behind strategically placed bushes in order to avoid the dreaded “hole in the floor” toilets which so terrified me in my formative years. But never, while popping a squat kerbside on a busy French Autroute; never while sporting Pat Heap’s trademark “plonker” t-shirt (designed for the young female traveller with less than perfect aim); never while hovering nervously behind a well placed Camion, praying for a brisk flow; Nay never did I lament what a terrific bore all this was. Undignified, perhaps. Deeply unpleasant, definitely. But never dull. In that sense, Givenchy has succeeded where the great French Nation has failed. In creating a fragrance so profoundly dull that I can hardly drag my fingers across the keyboard long enough to review it. Yes it has notes of mandarin, Italian winter lemon and cedar wood. Yes there’s a cheeky tonka bean in there somewhere. But it doesn’t do anything – it doesn’t break new ground, it doesn’t inspire fragrant debate in the office, it doesn’t even kill bugs. It’s the rich tea biscuit, the John Travolta thriller, the Pantene shampoo and the Coldplay album of fragrances. It does the job, but if there’s anything more exciting in the offing, you’d bin it in a heartbeat. Steer clear noses, this aint worth a whiff. Crap name too. You should write a book. With fold-out perfumed pages (like the ones in those glossy lady-mags) – scented literature HAS to be the way forward. Lovely to see you yesterday & meet the splendid G. (finally!). Only wished you could have stayed longer.